There are a few things that pretty much everyone does, but your puppy kind of wishes that you wouldn’t. The truth is, these things that you do make it more difficult for him to learn and grow up to be a good canine citizen. I just got done answering an email from a client who was complaining that her 8-week old puppy was still having accidents in front of her. Ironically, she then threatened to just leave the puppy in a crate. I wonder how long it took her to get potty training down when she was a child? It is like we completely forget being young. Or, we think that puppies spring from the womb being in control of their bladders. 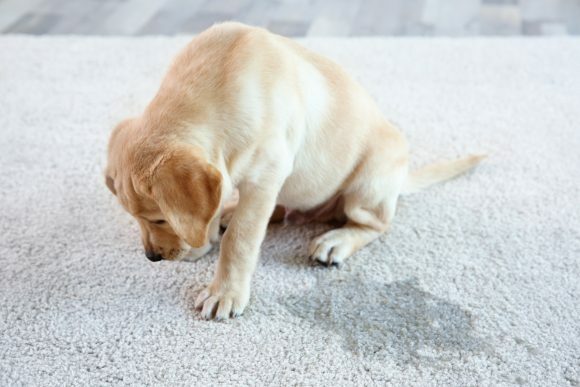 Puppies have to learn to control their bladders, too. Some puppies have very few accidents; others will have more. Sometimes the only difference is which puppy gains control of his bladder first. 99% of puppies are going to have accidents. Simply clean them up well and try to get that puppy outside. But don’t expect your 8-week old puppy to grow up overnight. Interestingly, this can go both ways. On the one hand, you get the person who loses control when the puppy has an accident in the house with yelling. Heaven forbid, there are still the “rub his nose in it” people out there while potty training their puppy. And then there are the gleeful squealers when the puppy goes potty outside. All of this is just overwhelming nonsense to the puppy. Going potty is a natural thing; if you get worked up every time he goes, he wants to avoid going potty in front of you (which is not at all what you want)! After all, he HAS to go potty, and he should be comfortable going in front of you. And, when he goes potty outside, just calmly praise him. This is especially for those of you with little dogs! Your dog needs to learn to be a DOG! Set him down and let him walk. You need to help him foster some independence. If he were your child, you would want him to grow up and be independent. Carrying your child everywhere and never letting him sleep alone would be bad for both of you. It is bad for you, and your dog too. Let him walk, take breaks from one another, and foster a healthy relationship. 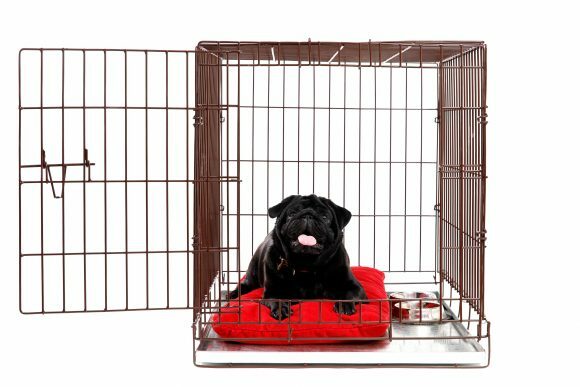 Crate training also helps to foster independence. Crating can also save his life. Puppies don’t know that you can’t chew on electrical wires. And, the old story about dogs being den animals…that is TRUE! Sure, he probably won’t like it at first, but all the best things in life take a little effort. And one day, he will love his crate, and you’ll be able to take him anywhere! Don’t let him get stuck in this habit! I don’t want him pulling back or forward. I don’t want him pulling at all. Leash manners must be taught right away! And, he doesn’t want you to let him pull, either. It can damage his trachea, and I am pretty sure it doesn’t feel great in any way. It also isn’t great for you! So get on it, work on training your puppy, and make sure you have the happiest puppy on the block!